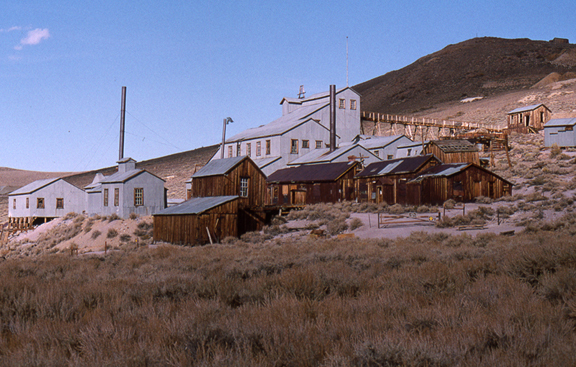 The mining town of Bodie, now a California State Park, is perhaps the best-preserved ghost town in America. 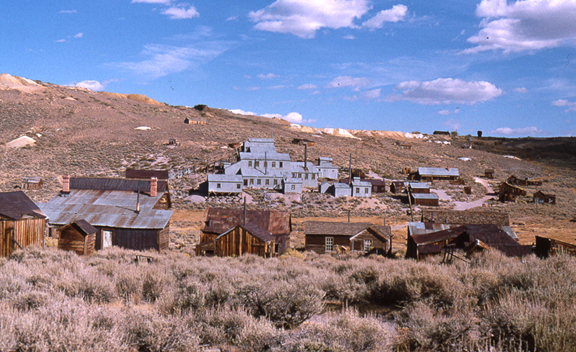 Bodie was one of the early California mining centers east of the Sierra Nevada. 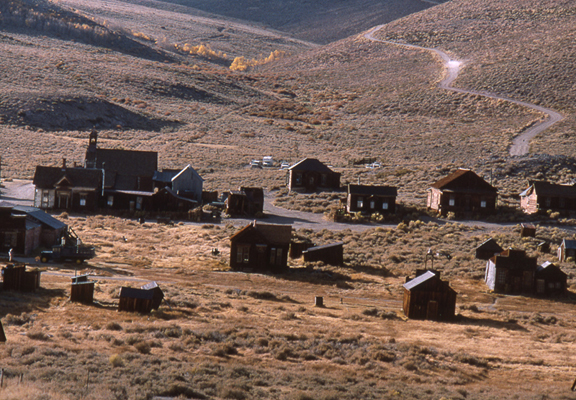 Bodie is a bit off the beaten path, but worth the trip. 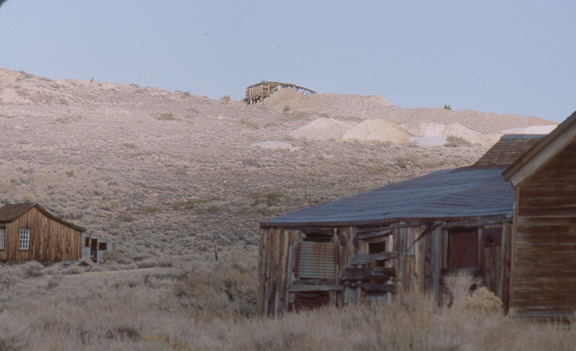 The mines are on the hill above the town. 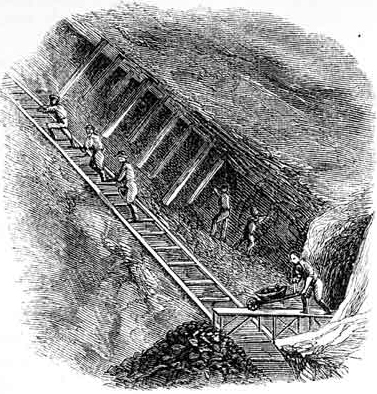 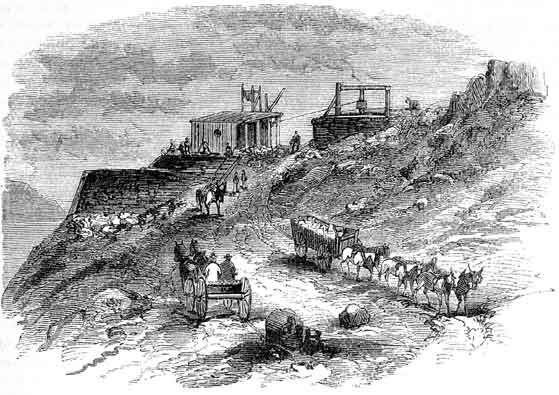 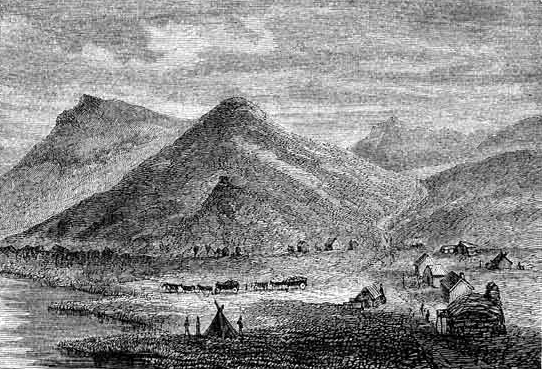 The Jupiter mine, on the ridge above town, was the site of a deadly gun battle between miners working overlapping claims. 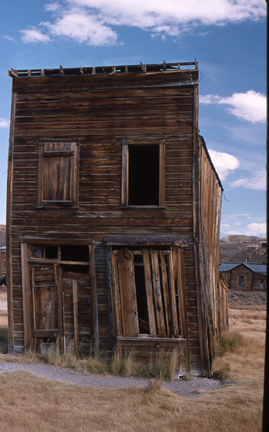 The buildings are maintained in a state of arrested decay.